Every successful company that grows and prospers in an industry that has both powerful competitors and relatively low barriers to entry must have an edge. They've got to have a differentiator that sets them apart, something unique that gives them an advantage in an otherwise crowded economic space. It's in studying these sorts of businesses and then identifying the characteristics, systems and/or circumstances that allowed them to succeed that can help you formulate your own mental models. These characteristics are typically unconventional, unique and qualitative in nature and often combine to produce results in a non-linear fashion; what Charlie Munger refers to as 'lollapalooza' results. In a speech at the University of California in 2003, Munger drew on the Les Schwab story as a case study to highlight how he combines mental models with a checklist approach to analyse investments. At 15, Led Schwab was an orphan. 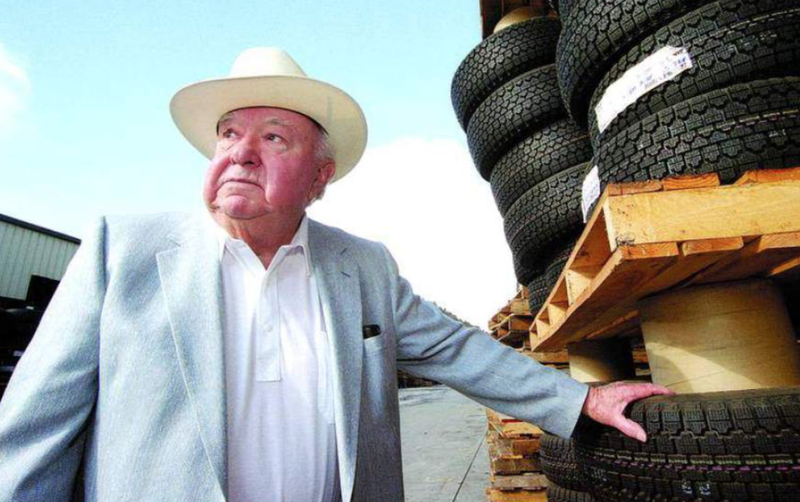 At 30, with a $3,500 investment he built the most successful independent tire chain business in the US. Schwab was a straight shooter whose story parallels many of the businesses and leaders we've reviewed recently; Walmart, Home Depot, Panera Bread, Nucor and Starbucks. And like those stories, his lessons have stood the test of time. While the book was written over 30 years ago, the lessons are as relevant today as they were then. Les Schwab's extraordinary success can be traced to his fanatical nature combined with a business philosophy of empowering, sharing and rewarding staff. Other success traits include a long-term focus, absolute transparency, a win-win culture, continuous innovation and prioritising front line employees. His generous profit sharing plans started with a deal he offered his second employee in 1954, and are probably the most unique sharing plans ever created for employees. A staff retirement fund incentivised employees and provided the capital for the business to both support those staff and grow. It also secured retirements for thousands of employees. It's these characteristics which made the Les Schwab Company almost impossible to compete against. I've included some of my favourite extracts from the book below. "I am 68 years old now. And I've run it in overdrive my whole life." "It was not unusual for me to drive 600 miles or more in one day and make many stops." "I think the biggest misconception the public has about a successful businessman is he is working for more money. You won't find many truly successful ones that are greedy." "I am seventh or eighth down the line if you consider bonuses. I have never taken a bonus from the company." "I've always wanted to be the best tire dealer, not necessarily the largest tire dealer." "Our company is a large family." "I told my managers .. 'If you don't do for your employees what I have done for you, then this company will die when I die'." "Mary Kay, founder of the very successful Mary Kay Cosmetic Company has a saying .. 'do good for people and it will come back to you ten fold. Do bad and it will also come back to you tenfold'." "Love your customer, give him top service, give him the best available price the first time and stay with it, and don't let your customers run your business." "People don't buy tires on price, they buy from someone they trust and from someone who will smile, and from someone who will give service and stand behind what they sell." "I encourage you to share profits with your employees. I encourage you in every way possible to 'build people'. This is good for America, it is good for you, and it is good for your employees." "[The sharing plan that I started in 1954] was the start of the profit sharing plan we still use today. We still share 50 percent of our profits, but we share with all employees in the store. The manager now gets 25% of what is left after sharing with all other employees." "My thinking has always been, if I give away half the profits I still have half left; if I share $10,000,000 with people, I still have $10,000,000 left over before taxes. I don't understand why businessmen can't do this, as it is unselfish for good reasons. It helps a lot of other people." "'Unselfish for good reasons' has been a slogan of mine for nearly 34 years." "I believe in sharing with those who helped me. The more you share, the more you have left for yourself. I don't like to think about having it left for myself. I like to think about it as having it left to expand the business, and to create more opportunity for more young people." "[When competition arrived that operated for lower cost and somewhat lower prices] after thinking about this for a year or so, wondering if I should cut wages and benefits, I finally made the decision. That decision was, 'If I couldn't be proud of my company, If I couldn't pay good wages, if I couldn't have good benefits, if I couldn't have the best employees, then why would I even want to stay in business, as I had all the money I wanted personally'. So we did nothing, and we won. The customer likes us best. Life is hard .. for the man who thinks he can take a short cut." "With our programs the employees leave a lot of their money in the company, or Trust, and this too can be used to expand the programs. It's self perpetuating." "I can't remember one single man leaving our company and doing better outside." "We have a need to continue to make our company the best employee company in the area. I've never been sorry for my desire to be a good employer. The more I've done for my employees, the more successful our company has been." "There's something in our program that makes a man, several hundred miles from the main office, be at the store at 7.30am and stay there until 9.00pm. If needed. It's not a thick policy book, it's not a lot of supervisors, as we don't have them; it's something that our programs created in him right in his heart. That is opportunity, the right to be successful, to be a good family man and hold his head high." "People are the success of our company. Most anyone can sell tires. 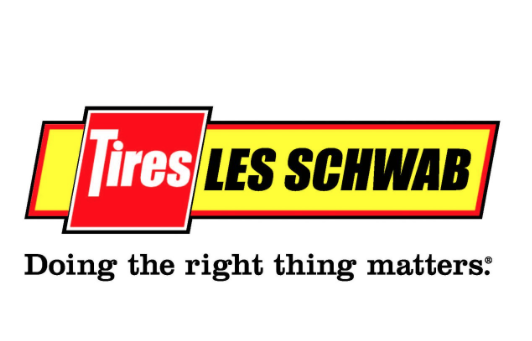 The only difference between a Les Schwab Tire Centre and most any tire dealership is the people working there.. And that's why we must continue to ask ourselves .. how can we do an even better job?" "What is the best route to follow to continue to be successful? What should our company do to to build for the future? The answer is, as it has always been ... BUILD PEOPLE." "How can you make people feel important? The best way is to believe that they are important. Really believe it!" "The success of any company is in direct proportion to the ability and motivation of its people, and that fits anything." "We teach our managers to believe in making the men under them successful." "I ask our people to reach for goals that they think are way beyond what they might think possible"
"In our 34 years of business, we have never hired a manager from the outside, nor have we ever hired an assistant manager directly to that job. Every single one of our more than 250 managers and assistant managers started at the bottom changing tires. They have all earned their management jobs by working up." "We are different from most of the American corporations, as we think the most important people in the company are the people on the firing line; the ones who sell, do the service work and take care of the customer. Most American corporations have the fat salaries and outrageous bonuses for the top people, and treat people at the end of the line as peons. I guess that is why, if you are on the ball, you can beat them on any type of fair competitive basis." "The office and all the computers, all the records in the world just tell the stores and the other departments what they did last month, last year. Too many corporations think all the brains are in the main office and all the bonus money is paid to the four or five high people. All the others are peons, or just numbers, and if you have a union, that really makes them a number. The truth is that the success is at the other end. The office merely keeps their records and tells them how they are doing. The real job for the office people is to provide motivation, to create programs that make it possible for them to be successful, to be fair, to be open, to have really open communications, to have no secrets, to support them." "Our managers have much more leeway than any chain type operation that I know of. But the manager, in no way, can take a free ride." "I'll make a prediction that if our top four or five people in the [head] office start to make more than our top four or five store managers, then our company won't be the company it is today. They won't as long as I am alive. This is an unusual way to run a business; but more businesses would be successful if they gave more attention to the people on the front lines." "We already had an excellent Trust fund set up for our warehouse company which was the same as the stores. I didn't want a bonus based upon the profit of the retreading shop or warehouse, because we could name our own profit. We had captive customers, our stores and member dealers." "A company starts, it grows, and as it grows, more and more of the decision making moves to the main office. And this is one hell of a big mistake. The decision making should always be made at the lowest possible level... Give your manager the authority to make his own daily decisions, under certain guidelines of course, but let him run his show." "Let the people at the store level and your manager know you are behind them. They are the ones who make you successful, not the person in a nice office who has nothing to do today but to send out another damn directive. If it doesn't help the store, tear it up .. tell the store to tell the office to go to hell." "[We tell store managers that] we expect you to run the store. You are on your own, and you will sink or swim according to your abilities." "Each store operates as a separate entity and each store operates as a separate business. The store employees share only in the profits of the store they work in." "The thing that held it together [in the early days] was that we ran each store as a separate entity." "We have had over the years some people in the [head] office that sometimes think they are more important than the stores. The office serves only one purpose, and that is to serve the stores." "If the store manager runs his store right, he doesn't have to spend hours and hours looking at the office reports; if he's doing okay the records will show it. In fact if he spends too much time in his office reading the mail, it is a sure thing his store will suffer. Sell tires, give service, keep expenses low, make sure everything is billed out, keep good communications with employees, be careful with credit, watch for leaks .. do these things and you'll come out all right. The damn computers can't run a tire store, they can only tell you what you have done." "I've told accountants .. you tell us where the pencil has gone; but, if you were smart enough to tell us where the pencil should go, you would really earn the high fees you charge us. The same goes for lawyers." "Stay out of a store 30 days and you've forgotten 50 percent of what you know." "I never allowed any company to give spiffs directly to our people. Give it to the company, and we'll decide what to do with it." "Our theory has always been to make the store, or our Member Dealers successful. That if they were successful, then the home office just had to be successful. The big bonuses, the most opportunity, I feel should be at that end. The large corporate policy is that the large bonuses, and the most opportunity, is in the home office. The men at the so called' bottom end' were only numbers. Then I asked 'Who is right? On one side we have the large corporate theory, and on the other you have the Les Schwab theory. Are we smarter than those huge companies? .. and I think the answer is, you're darn right we are." "[In response to new lower priced competition I asked] should we attempt to lower our cost by taking away benefits, pay lower salaries? By doing this, we could milk the stores and Member Dealers and pull this back into the home office. Sounds good, but it doesn't work that way. We took the opposite approach. This was the start of our program to make better jobs for the men down the line. We increased wages, we changed and improved our medical, dental and insurance programs. We increased our cash bonus making it 12 percent to be shared instead of 10 percent... The results proved us right. We had better employees than our competitors. We gave better service. I don't have any way of really knowing, but I don't think our percentage wage cost was any higher than our competition because our people just plain 'put out out more'." "We know that our stores that sell the tires must be successful, and they are more important by far than the main office." "The large rubber companies turned out to be our best friends. Why? Because, their ways, their policies broke their dealers, often leaving us as the only deter in town in a position to give service." "It is rarely that we accept new member dealers. They have to already be in business; they have to be the most successful dealer in the area, and they should be in good financial shape. We get calls constantly wanting to start what they call a franchised store. Actually, we are not a franchised company, as we don't charge a franchise fee. Sometimes they do have the money but don't have experience. If we are going to take the time to do this, we would rather spend it on our people. We have the money to start more stores, and we don't want to gamble on inexperienced people. Also, if they (a prospective member dealer) expect us to finance them, then we would rather finance one of our own people with one of our own stores." "I told my managers at a meeting that we were going to modernise all our stores, we were going to have tiled restrooms and we were going to have men's and ladies' restrooms. They laughed. Who had ever heard of tiled restrooms in a tire business?" "When we create programs [eg. profit sharing contract, free-flat tire repairs for ladies, TV advertising approach, employee Trust fund, cash bonus program, 'More Mile' retreading program, centralised retreading plant etc], we are successful. Our future depends on us creating our own programs for the future. If we fail to create, then we will die on the vine, like so many other companies have done in the past." "Just as sure as the sun will rise tomorrow, our customers will change. We must take into consideration changes as we plan our future advertising, our promotions, our themes, our future image in the marketplace." "Things, ideas, and people change. If we wait for things to happen the right moment may have passed and the market will have slipped by. We must continue to build enthusiasm into our company. Without enthusiasm out company is dead." "All major decisions are made at our store manager meetings. This is the place to argue like hell, but once the decision is made you must follow." "I've always believed in the complete open book policy. I haven't any reason to hide our profit statements, or to hide anything." "To me an important element in establishing a happy, prosperous atmosphere is our insistence on open, free, and honest communications in our business meetings. We owe each other our honest opinions at all times. No one wants to follow a weak leader. We build strong leaders with open and honest communications." "I really do think that young men who work for the Les Schwab Company for three or four years is almost as good as taking three or four years of business schooling. The reason for this is the complete openness of the company. Every employee in every store is encouraged to read and study the Profit and Loss Statement of his store. Each store has a monthly meeting around the P&L Statement. They are encouraged to ask questions." "[I tell managers] be honest with the people we work with. Be honest with your customer. I've told you before, I'll tell you again .. 'There's absolutely no excuse, no reason, or cause for you to be anything but 100 percent honest with the people you work with, or with the customer you serve." "If we become complacent, brother it's all over with"
"One thing we must guard against is complacency"
"If we think there is a free lunch, if we rely own last year's results and ask for pay for non-productive items, then this company will turn the corner, too, and then we too will start down the hill. And once you start down, it is mighty hard to turn around. Remember this in years to come and if we do start to fail, remember today, because there will be an association." "All people must carry their weight or move aside; and that includes me." "We must earn our way every day. And those not earning their way must have the limb sawed off the tree, as cruel as that may sound.. and that goes for Member Dealers, you must earn your way or we must saw off your limb and drop you from the tree." "I don't want my company to take advantage of anyone." "I talked about our operation as being a three-way partnership. The stockholders as one unit, the corporations and its people as another unit, and the employee Trust Fund as the third unit. Our company will always be successful as long as all three units work in harmony. Greed can come from any of the three, but most likely it would show up first with the stockholders, it usually does in any company." "A company, any company, should work up programs and policies that are fair to stockholders, to management and to the employees. And then we should have very open communications, follow the open book policy. If you can't defend it, it must be wrong. If it is wrong, then make it right." "I found out early in business life that there was power in volume buying. I think this was one of the main reasons I had such a desire to get big. I know today, right or wrong, that our company can buy tires for much less than the small independent dealers. Many times we could sell at their cost and have the profit we needed." Its no accident that we can draw similarities between the likes of Nucor, Panera Bread, Walmart, Home Depot and Starbucks with Les Schwab's Tire Business. Whilst they are all in vastly different industries, each of these business mavericks have struck upon the same ideals when determining how their businesses should run. And whilst all of these appear very similar in terms of things like culture and business ethics etc, the truth of the matter is that as an investor, these things are not easily discovered; they're not evident upon first glance at these organisations. Ok, its fair to say that their income statements will probably reflect positively because of these traits, but in reality the income statement doesn't tell you why. It also doesn't tell you what to expect in the future - which is what investing is all about. You can't peruse pages and pages of spreadsheets or P&L's to determine that front line people are empowered or that the company has a humble culture. These things are discovered by spending time learning about the business, doing channel checks and considering the factors that make them successful. And by that I mean real time, not time just sitting behind your computer analysing numbers. I can't stress enough the value to be gained from a truly deep dive into organisations to understand what makes them tick; the answers are not to be found on the income statement. And its not just me espousing this idea - if Munger and Buffett do it, then the rest of us should, too.